Our Organic Beauty Products use many natural ingredients, some of which you may not be familiar with. Read about our ingredients and their properties here. At Willow Organic we work hard to source the most potent organic and natural ingredients in our range of beauty products. All of our ingredients have been carefully selected by cosmetic chemists, aromatherapists and herbalists to ensure that our skincare is effective and ethical. You may find our botanical glossary below a useful resource to help understand the properties and benefits of individual ingredients we embrace. Traditionally harvested by Berber women in Morocco, Argan trees are suited to arid climates. Originally collected and extracted from the droppings of goats, Argan oil is now collected straight from the trees and the oil is extracted by compressing the seeds. Full of vitamin E, antioxidants, and essential fatty acids, 'Moroccan Oil' is a skincare wonder ingredient which helps moisturise, protect, and renew skin cells. Originally from India this well loved herb has now spread across the globe. The word 'basil' comes from the Greek word meaning 'king'. Basil has antiviral, antimicrobial, and antioxidant properties helping to cleanse the body of harmful infections. Bamboo is a tall, strong grass found across Asia. The most famous consumers of this plant are the iconic Giant Panda. Bamboo extract has a high concentration of silica with anti-irritant properties this is a fantastic exfoliator, removing dead skin cells whilst keeping skin soothed and calm. The Barbary Fig is a desert plant. Used to the arid conditions of the desert it has become an expert at keeping its own cells hydrated. It is one of the world's most expensive oils, extracted by cold compress to ensure the preservation of its powerful essence. With more vitamin E , antioxidants, and essential fatty acids than Argan oil, Prickly pear is a skin care wonder ingredient. Easily absorbed, not only does it protect skin from free radicals and environmental damage, it deeply hydrates and replenishes the skin with essential vitamins and fatty acids. See our range of Barbary Fig beauty products here. Once used across Europe in cuisine as a root vegetable, it is the Burdock root and not the flowers which contain a powerful set of ingredients. Known for its ability to help cure chronic skin conditions, Burdock Root has small amounts of organically occuring Mercury which has detoxifying effects on the skin. Combine that with a high content of vitamin C and it is a skincare must. Originally carrots were grown for their seeds and fragrant leaves. The carrot is a relative of parsley and dill. With antifungal properties, and packed full of vitamin A, antioxidants & minerals. Vitamin A is essential for any antiageing skincare. Vitamin A helps rebuild damaged tissue cells. It also helps to restore normal skin cell functions post-infection. It has been known to help aid the production of collagen. The name originates from the Latin for 'Earth Apple' due to the fragrant smell of the flowers. Known for its ability to calm the senses and promote peaceful sleep. Chamomile also has fantastic properties for your skin. Rich in flavanoids (vitamin P) which aid healthy blood flow, and increase the intercellular concetration of vitamin C. It also has anti-inflammatory and anti-allergy properties, helping to keep the skin soothed and calm. Native to Europe, the common Chickweed has been used for centuries in medicine. With diuretic qualitities, Chickweed helps to remove excess water whilst also replenishing cells with minerals and nutrients. Rich in vitamin B complex, vitamin C and potassium it is fantastic on skin skin disorders, and has anti-inflammatory properties. Collagen is a structural protein found in our bodies. Willow has sourced collagen and collagen production boosting ingredients. It's name derives from the latin words "glue-maker". Native to Europe and commonly found in the UK and Ireland on riverbanks. A traditional name for comfrey was 'knitbone' this gives us a clue to its powerful healing properties. Rich in allantoin, Comfrey encourages the repair and growth of cells. With the repair of cells come the ability to retain moisture, and encouraging skin suppleness, making Comfrey a wonder ingredient. Coriander has been used for centuries. Half a litre of mericarps of corinader plants (part of the female reproductive part of the plant) were found in Tutankhamun tomb. Not native to Egypt it suggests that cultivation of the plant began over 3000 years ago. 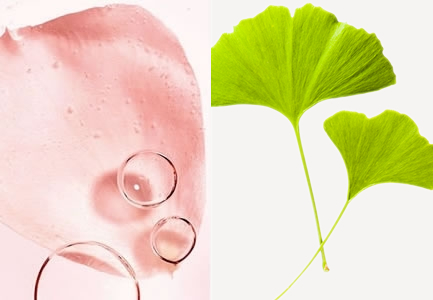 Rich in antioxidants, vitamin A and with diuretic properties Coriander works to remove puffiness and excess fluids whilst also protecting your skin from free radicals. With antimicrobial effects Coriander can also help remove any potential harmful infections from the skin. The Elder plant is found all over the word but the species Sambucus nigra is most commonly found in Europe. Known in ancient times as “the medicine chest” due to all its wonderful health restoring properties. Used for healing dry skin Elderflower extract is also anti-inflammatory, antiseptic and astringent. The astringent properties help to keep skin feeling firm. Indigenous to the Mediterrean coasts and in common use since the time of the Saxons, Fennel can now be found all over the world. The world fennel comes from Old English meaning 'hay'. Rich in B vitamin complex, magnesium, calcium, and phytoestrogens fennel is excellent for many ailments. The English name Frankincense derives from the French for 'high quality incense'. One of the world's oldest commodities, Frankincense has been traded throughout Northern Africa and the Middle East for over 5000 years. Famous for its aromatherapic qualities Frankincense also has medicinal properties. Asian communities have used Frankincense for centuries to heal wounds, strengthening the female hormone system, and calming inflammation. This small plant, which blossoms all year long, hasa broad geographical footprint, covering the whole tropical zone in South America, Africa and Asia. used for a very long time in Madagascar and La Réunion. In vitro & In vivo tests have medically proven that the use of Gatuline® Expression reduces the appearance of crows feet within 24hrs - 83% of participants agreed. The grapefruit is a hybrid fruit first bred in the 18th century and is known as the 'forbidden fruit'. Packed full of nutrients, antioxidants, phytochemicals and vitamin C grapefruit is a tresure trove of skin cell boosting ingredients. With its wonderful healing and antiallergic properties the Gumplant is great at alleviating skin complaints such as eczema and allergic dermatitis. Known as the 'Everlasting oil'. Used as a strewing herb in Medieval England, Helichrysum has a multitude of skin rejuvenating properties. It is an astringent (keeping your skin feeling firm), anti-inflammatory, a diuretic (to help remove unwanted puffiness), and anti-allergic. A beautiful and fragrant flower, used by Cleopatra herself to tempt her lovers. Used in Ayurvedic medicine, Jasmine not only smells divine but it aids in the clearing of common dermatitis. Jasmine oil is great at moisturising greasy skin whilst helping to increase elasticity. Used by the Roman’s in their baths, lavender has been appreciated for centuries for its rejuvenating and moisturising effects (as well as smelling gorgeous!). Gentle and hydrating lavender flower oil is excellent in toners. It is also known for its ability to alleviate sunburn and ezcema due to its ultra-hydrating properties. Originating in Asia, lemons have been cultivated in Europe since the 1st century CE. Due to thier high vitamin C content lemons were given to saliors to supplment their diet and prevent scurvy. Fruit acids in skincare are an effective way to rejuvenate the skin. Not only is lemon high in vitmain C it also helps to remove dead skin cells and new research suggests may even stimulate the production of collagen. Limes are a close relative to the lemon. Originating in Asia they can now be found all over the world. Acidic limes are a powerful antiseptic, helping to remove infection from the skin. Like lemons they are rich in vitamin C and are great at lifting off dead skin cells leaving your skin looking and feeling refreshed. First recorded by the Ancient Greeks, honey has been famed for its potent antibacterial properties. Used to disinfect wounds in battle honey has long been used to treat skin ailments. Manuka Honey is a unique products that deeply nourishes the skin and helps to repair damaged skin cells and destroy bacteria. It also works to control age spots and blemishes on the skin's surface. Methylglyoxal (MGO) is the main antibacterial component of Manuka honey and its high concentration is the key to the honey's potent anti-infection uses. Marigold has been used for centuries for healing wounds. The words Marigold and Calendula are often interchangeable. Marigold contains saponins which are antimicrobial and help to keep the skin clear. Also rich in antioxidant flavonoids and antinflammatory triterpenes. Marshmallow root is known as a ‘poly-crest’ herb, meaning that it has a multitude of uses from healing tropical wounds to soothing simple skin irritations. It's regenerative powers and skin softening properties make it an essential ingredient in any antiageing skincare product. A small beautiful yellow flower originally from China. This delicate flower has anti-septic properties making it fantastic for balms. May Chang extract naturally soothes and cools irritated areas leaving the skin relieved. Nettles have been used for over 3000 years for many different tasks. They contain an exceptionally high quantity of chorophyll. Used to treat allergic reactions, nettle extract has anti-inflammatory and decongestant properties and helps to firm and tighten the skin. Orange became popular in the Middle Ages amongst Arabian physicians. It was not until the 17th century that it was distilled for its scent. Orange Blossom oil, or Neroli as it is also known, derives its name from an Italian princess called Anna-Marie de Nerola. She would fragrance her gloves with the scent of Orange Blossom. One of the key ingredients in Willow’s new ranges. Orange Blossom has wonderful skin balancing properties and is great for all skin types. It helps reduce the appearance of marks and smoothes the skin’s surface. It is particularly good for oily skin, helping to draw out any impurities from the skin. High in vitamin C, orange is also known to strengthen immunity against infection. It has high levels of limonene which when introduced to the body kick start a detoxification process. Distilled since the 18th century and famed for its moisture balancing properties. Originating in Asia, patchouli is aprt of the mint family and has been used for centuries as perfume. Patchouli extract is a skin firming astringent. It also has diuretic and antiseptic qualities - removing excess water from areas whilst cleaning the skin. A hybrid mixture of spearmint and water mint, peppermint is indigenous to Europe. Cooling and soothing Peppermint oil also contains antibacterial properties, helping to soothe irritated skin whilst cleansing. Sourced from the Swiss Alps this is a "veritable fountain of youth". It was first recorded in the writings of Aristotle who referred to it as "Watermelon Snow" The plant stem cells derived from these powerful algae have been clinically proven to protect the skin from all mechanisms of aging! They are clinically validated to extend the life of skin cells. Stem cells replicate themselves into specific cells that replace damaged cells. The Romans, believing that rose was a powerful medicinal tool also believed that it could cure hangovers and would soak petals in wine and eat them as a hangover cure! A key ingredients in Willow’s new ranges. Rose is a wonder-plant, often used in skin care products and for good reason, it is famed for its: anti-bacterial, hydrating and skin soothing properties. Not to mention the beautiful fragrance. Rose can be used throughout skin care products to achieve beautiful results. Traditionally the symbol of love, Rosemary is not only smells gorgeous and has romantic conotations its naturally active ingredients also make it a great skincare product. Packed with antioxidantsand rejuventating oils which help to reduce the ageing effects of free radicals. Plus with astringent qualities and the ability to help control the skin's oil levels make Rosemary an essential ingredient of anti-ageing skincare products. Used for over 4000 years in India Sandalwood trees are considered sacred. For over 2000 years Sandalwood has also been a key ingredient in perfumes and fragrances. Hydrating Sandalwood oil is great for dry skin. It also has calming effects with its anti-inflammatory properties as well as being packed full of anti-oxidants. Native to the Himalayas, the ancient Egyptians also appreciated Spikenard, burning it in the evenings believing that it would ensure the sun would rise again the next day. Great for skin conditions as Spikenard is antifungal, antibacterial and anti-inflammatory. Balancing, regenerative and healing. A native American plant, the sunflower is often a symbol of Summer days. Oil collected from sunflower seeds are highly concentrated with Vitamin A, D & E. Potent Helianol is also a fantastic anti-inflammatory. Conditioning and moisturising. Native to Australia, the tea tree plant has been used for centuries to cure coughs and other ailments. With antimicrobial properties, tea tree oil is natural antiseptic. Purifying and cleansing tea tree is famed for its ability to help ease skin conditions. The ancient Greeks belived that thyme boosted courage and would burn it before going into battle. With anti-septic and anti-fungal properties, this extract is perfect for those with skin disorders. It also has strong diuretic properties, removing excess fluid from key areas of application. A species of flowering tree in the pea family, Fabaceae. That tree is native to Central America and northern South America Used an an anti-septic and also with properties that help to clam and clear airways - this is the perfect ingredient for a bath oil. Tonka Bean also help to protect against UV rays making sure your skin stays luminous. Often mixed with frankincense and burned at religious ceremonies, Myrrh is considered sacred. A powerful antioxidant with antiseptic qualities Myrhh is fantastic at cleansing the skin and protecting skin cells from damaging free radicals. Common across the world, Yarrow has been used in wars and battles to help heal wounds. Yarrow is fantastic for oil control, it helps to balance the skin's oil production giving a more balanced complexion. The ylang ylang tree is part of the custard-apple tree family with small, highly fragranced, yellow flowers. Ylang Ylang oil helps to balance oily skin by locking in moisture to the skin's cells, therefore negating the need for the skin to keep producing more oil, these hydrating qualities make it great for older skin. It also helps promote cellular regeneration.